Download Hot Tub Time Machine in Digital HD from the iTunes store. 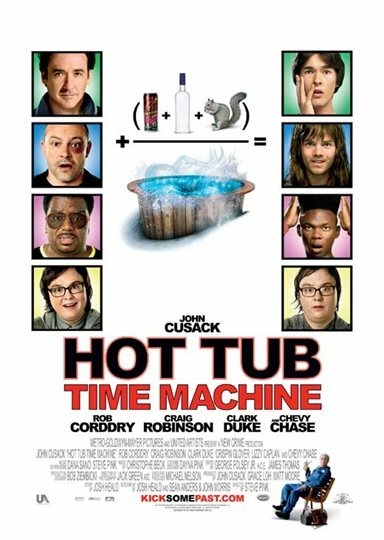 Hot Tub Time Machine images are © MGM Studios. All Rights Reserved. 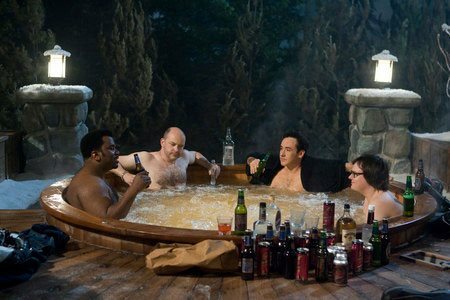 When I first heard about Hot Tub Time Machine, I was a bit skeptical. 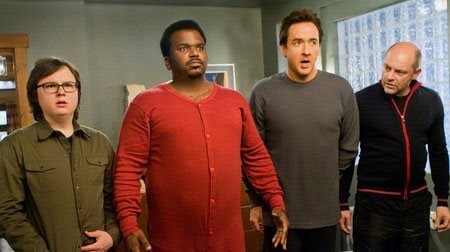 Adam (John Cusack) has just been dumped; Lou (Rob Corddry) is a hopeless party animal; Craig (Craig Robinson) is a henpecked husband, and Jacob (Clark Duke) does nothing but play video games in his basement. 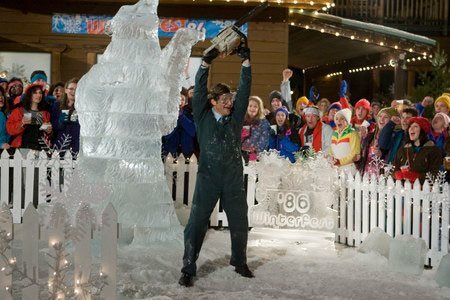 But they get a chance to brighten their future by changing their past after a night of heavy drinking in a ski-resort hot tub results in their waking up in 1986.However, if you take the movie on face value, you will be missing a pleasantly surprising good time. While the story is as far fetched as it can get, the cast, director, and tone make this film work. As with most films that he is in, John Cusak plays his part amazingly as Adam, a middle- aged man, whose life completely is in disarray. However, Cusak is not the only one on top of his game. 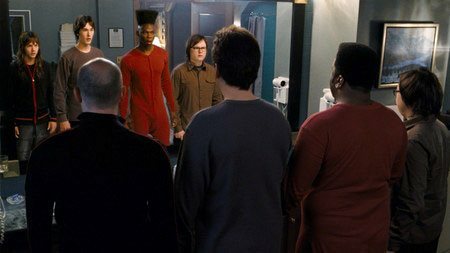 The rest of the cast -- Clark Duke (Jacob), Craig Robinson (Nick), Rob Corddry (Lou), Sebastian Stan (Blaine), and Lyndsy Fonseca (Jennie) also play their parts superbly in the crazy hair-band days of 1986. The man of many talents, director, Steve Pink, does a skillful job of holding all the elements together and making the film what it is meant to be -- a trip down memory lane for all of us 80's children in a fun and crazy entertaining way. While an amazing cast, a witty comical screenplay, and an amazing throwback to the 1980's set should be enough to complete this film, one more piece was added to the puzzle that makes everything fit perfectly -- the music. From the first few notes of Autograph's Turn Up The Radio during the opening credits to Motely Crue's Home Sweet Home during the finale, the music perfectly fits the film. 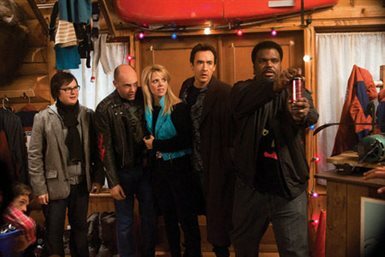 As a child of the 1980's, it was great to visit the decade again; while Hot Tub Time Machine may not ever be up for any awards, I suggest anyone whose childhood was touched by the years of MTV and Regan take a peak at this movie. It will put a smile on your face. 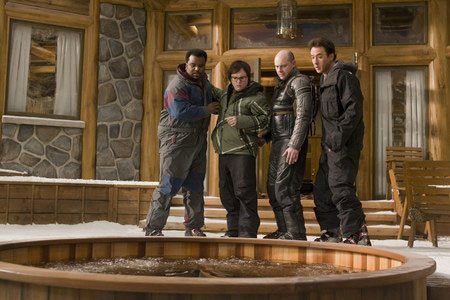 Hot Tub Time Machine images © MGM Studios. All Rights Reserved. 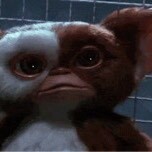 Stupid but great blast from the past film!